In the past, analyzing data helped teams write sales forecasts, determine inventory needs and decide the ideal time for buying a new piece of equipment. With big data, that’s all evolved into a setting where enterprises can predict customer behaviors, personalize marketing and buying experiences, and create new product lines based on social media analytics. The impact of big data is currently taking another turn, and it means that all data processing will be big data processing. 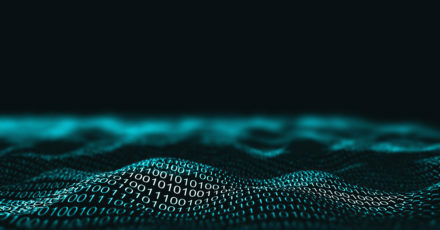 The advancing technology surrounding how data is used to drive business means it’s no longer just analysis and processing, but action-oriented. Stop waiting. If you’re usually a late adopter of technology and prefer to watch the more risk-taking companies test out new tools and features while you wait for the 2.0 version, you may want to rethink that strategy when it comes to big data. Advances in big data are not slowing down and there’s no “later” for companies that pass on the advantages it offers now. Simply put, your competitors are likely jumping into big data, and they will far outpace you if you’re not engaged in these strategies. The shift in big data processing: The reason you can’t afford to wait to implement big data processing is that all processing is becoming big data processing. It’s shifting from a system of gaining insight into a set of business metrics to becoming a system of taking action in real time based on data flowing in from a variety of sources. Early big data analysis centered on offline batch analysis, with line of business managers pushing for faster, more comprehensive, smarter reporting. As this technology developed, it became feasible for data to become transaction-focused. 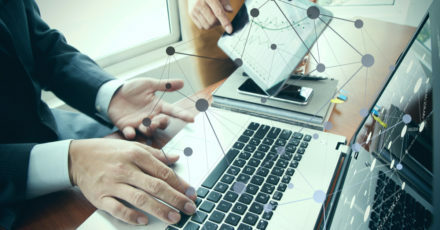 Internet of Things (IoT) devices are sending a massive influx of real-time data, and edge computing makes it possible to process and analyze that data right at the source so that enterprise systems act on that data immediately. Artificial Intelligence (AI) and machine learning are making it possible for big data to use extremely effective predictive models. Enterprises will increasingly see big data as the driver of their actions, rather than simply informing decision-making. Is your enterprise ready for big data processing? If you’ve been holding out on implementing big data technology, the time is now. Contact us at Truth Comm for more information on how real-time data flows and machine learning could disrupt your business processes. Big data is impacting every area of business. No matter where you go or what you do, your behaviors are being captured for a variety of purposes. While your online buying behaviors are being tracked to help retailers maximize sales opportunities, you may also appreciate some of the benefits, like being offered a similar product with a better customer rating. 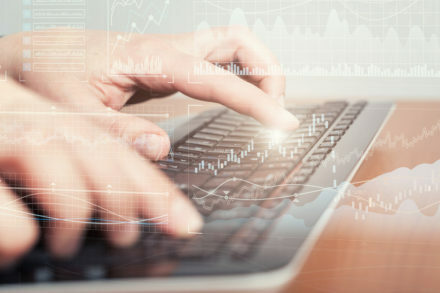 As a result of the advanced technology for collecting data, analyzing it and using those analyses to inform business decisions, data has become increasingly important for businesses. Your data related to customer files, product pricing and inventory and sales history needs to be protected with a security strategy designed for big data. What some companies risk is the vulnerability of microdata as they pursue solutions to protect their big data assets. The massive files related to product pricing and inventory will always receive prioritized attention in terms of security, but what about the sensors that pick up inventory information? For instance, if you are storing bulk degreasing solutions that will later be bottled and the sensor on the vat of solution is malfunctioning, is that microdata somehow captured? To get a sense of the role of microdata, it’s helpful to think in terms of credential data. Every system requires credentials for users to access applications, and these types of microdata files are critical. You’d never want them compromised or exposed. Without these files, there’s no access to anything else, yet they often represent one of the more vulnerable areas in enterprise IT. 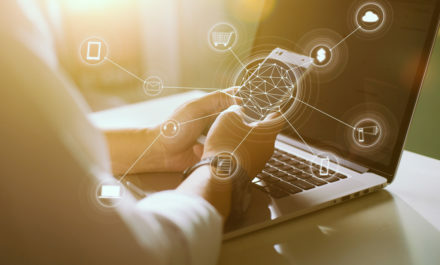 Determining how to protect microdata is becoming a greater concern for enterprises as sensors and Internet of Things (IoT) technology are implemented to streamline business processes. There also need to be plans in place to protect the data should a sensor fail or the network isn’t prepared to handle the flow of data from sensors. Companies spend a lot of time protecting big data. There are disaster recovery strategies and backups intended to protect against data loss or theft and corruption. Yet little time is ever dedicated to the actual applications, configuration files or a variety of other small data entities that can be vulnerable and cause a loss of data. Replication and Duplication: It’s important that both big data and microdata be replicated and duplicated on a regular basis to protect the integrity of the data. Incremental backups are important for being able to go back to a certain time and pull that data, but only a complete duplication of data allows for enough protection. To learn more about the protection of vulnerable microdata files or about a broader big data security strategy, contact us at Truth Comm. We are your trusted partner and can help you leverage the best technology to protect all types of data critical to your business success. Disaster recovery solutions have evolved over time. 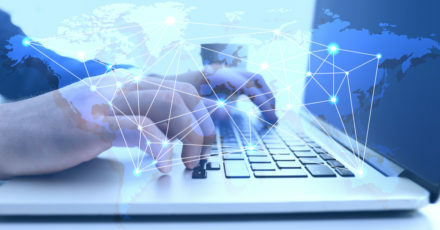 When the idea of creating a disaster recovery solution came around and started gaining speed, the only way to connect to a solution was to come up with your own. In fact, many organizations would actually build a completely separate data center off site to store all their critical data. While it has become vital for companies of all sizes to have a disaster recovery plan in place, it’s no longer acceptable that the only option one has is to build their own brick and mortar solution. 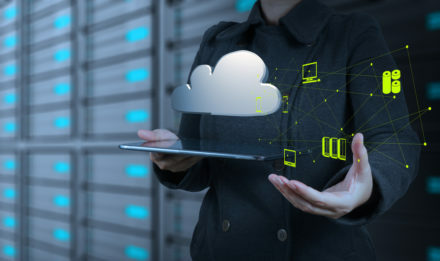 Thanks to cloud-based vendors who have invested heavily in disaster recovery solutions, getting connected to a good one is no longer such a chore. While it is true that cloud-based solutions come with many perks, going from an on-premise to an off-site solution doesn’t happen overnight. It takes intentional planning to make that migration a success. There are many complexities to consider, even after you’ve established who your vendor is going to be. Your disaster recovery plan needs to begin with a breakdown of everything related to your IT. If you’ve got a secondary disaster recovery facility in place, what are the advantages you expect to see by going to the cloud? Some organizations might ease into the situation with a hybrid model, while in other cases, jumping directly and fully into the cloud is a better idea. As you account for what you currently do, you’ll have a better idea of which path is a better fit for your organization. Are you already locked into software licenses? If you’re breaking any leases, you have to factor this into your costs, which could necessitate waiting for a while before moving forward. Furthermore, jumping to a cloud-based solution comes with support agreements and software licensing of its own, which means you have to fully vet whom you’re dealing with before you ink the deal. All good plans account for success and failure. You need to know how long you can go without your critical data before it negatively impacts your organization. Your disaster recovery provider should be able to get you up and running before that time limit comes and goes. The amount of data you can afford to lose is another metric that needs to be studied as you choose a provider. At Truth Comm, our clients need someone on their side that stays ahead of the technology curve, which is why we carry the latest solutions. Our in-depth experience give us insight into how a proper disaster recovery strategy should work, so contact us today and let’s discuss our methods. We are approaching that time of year when summer storms begin to brew and hurricane season has everyone wondering how the storms could impact businesses across industries. This may lead you to wonder if your company is prepared in case a natural disaster hits. Now is the time to get on top of it before it’s too late. Being proactive and setting up a leadership team for developing a good plan is the beginning of a smart strategy for preparing for the worst. Everything from training your staff to monitoring your infrastructure to taking care of preventative maintenance should be part of the preparation. If the goal is to avoid downtime, even if you’re in the thick of a natural disaster, then everything must be considered in the planning stage. Be sure to investigate backup options via cloud-based vendors who are geographically disparate. The best cloud vendors will have multiple data centers in different areas of the country where your data will be duplicated. Furthermore, they will have multiple energy sources should their main source go down. Ask your potential cloud vendors if they have at least three backup sources of energy/fuel so you will have unfettered access to your data. Uninterrupted power supply technology, such as an N+1 configuration, is an example of how the best are ensuring constant supply. To really know if you’re going to be covered in the event of a disaster, perform regular drills to determine where your strategy needs work. As the landscape regarding technology evolves, so too should your disaster recovery plan. By regularly running drills, you’re going to get a better look at how it’s changing and what you need to do to make improvements. Preventative maintenance, whether in-house or with your cloud service provider, should also be part of the strategy so that your system is always updated and hardware is in working order. Cloud technologies offer a significant improvement to the way we do business today. At Truth Comm, our cloud solutions give you a complete look at what’s possible in the cloud and what our clients might need. 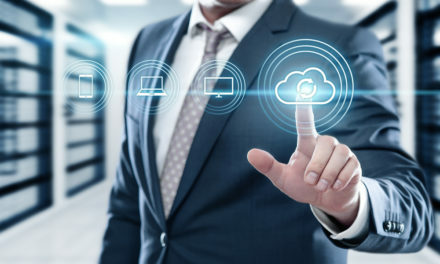 For example, cloud-based voice services, while helping you offload costs related to hardware and software, can also be of significant advantage as you assemble your disaster recovery plan. Contact us today to discuss how our solutions will fit your needs. Cybersecurity Is Essential for Every Business. Is Your Data Secure? In today’s digital age, businesses are turning toward technological mediums to promote their services. There are more options across various platforms than ever before, whether it is social media or electronic advertisements. However, more options mean more chances of cyberattacks. Thus, you must be prepared to defend yourself. No business is exempt from vulnerability. Regardless of the size of the business, cyberattacks can strike at any time. Recovery is difficult, especially for businesses that are not prepared. It is vital to be ready for uncertainty and risk in the future. A business’s data breach costs a fortune – both financially and commercially. The price of a data breach immensely affects customers as well. Not only must businesses deal with the dollar amount, but they also must compensate for lost credibility, assets, confidential information, credit scores, and customer loyalty. Smaller, growing businesses are in even more danger. For example, some businesses that operate as vendors for larger companies have more risks; they usually have less indemnity and emergency preparation. If targeted, the data breach would also negatively affect the larger company. Protection against potential threats and IT hazards should be a primary concern for each business. 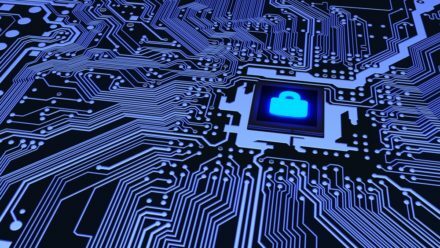 Cybersecurity needs to go beyond mere consideration; it must be a necessity and is it is crucial for a company to preserve, maintain, and secure data. The pressure to meet and uphold cash flow, customer, and management needs is one reason companies must improve and boost their security. Every business needs both defense against and preparation for the worst possible outcome. 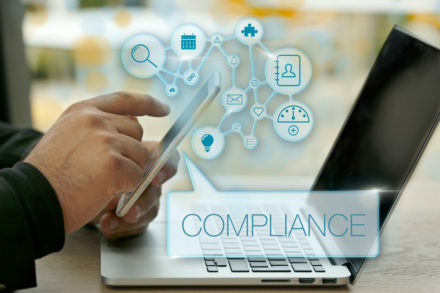 Often, businesses fall into the false presumption that cybersecurity is not essential because they never consider potential harm or believe that cybersecurity is too pricey. However, no business is truly safe from data breaches. 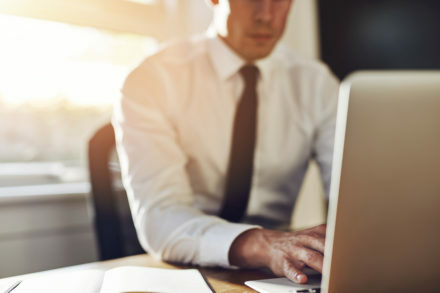 Additionally, businesses will save more in the long run if they invest in cybersecurity; thus, the expense of rebuilding a company – both in finance and credibility – will outweigh the price to pay for protection against threats. Your business should consider a cost-efficient defense against data breach: freelance security experts. These experts can strategize effective solutions, locate vulnerable spots, develop preparations and plans, and implement proactive solutions. Take the necessary steps to guard your company against any possible cyberattacks. At Truth Comm, your business’s security is one of our priorities. Our aim is to educate you so that you can make the best and safest decision for your business. Contact us today to secure your future.